People often think that child abuse cases are something that happens in other families and other neighborhoods, but not close to them. But everyone should be aware that victims of child abuse come from all socioeconomic backgrounds, living situations, and races. Unfortunately, child abuse statistics show that over 1,500 children die each year in the United States from child abuse and neglect. 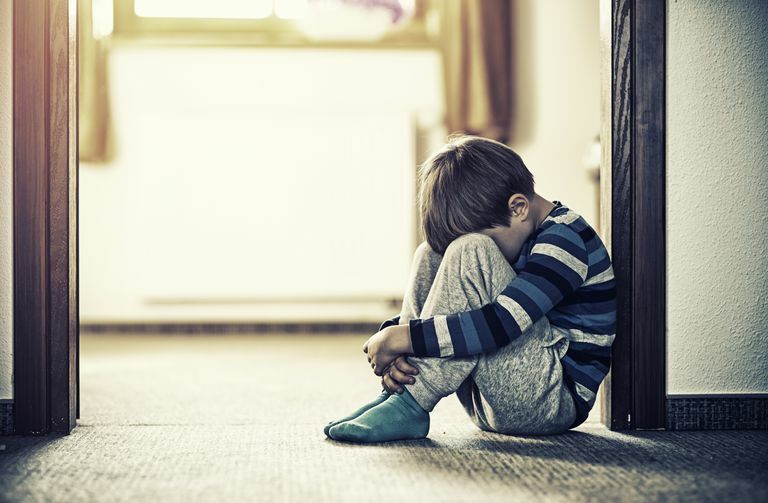 In addition, 75 percent of fatal child abuse victims are under the age of 3 years old, and 78 percent of the fatally abused children were harmed by a parent. It's not the proverbial stranger who poses the most danger to children, but the people entrusted to care for them. And it's not just men who harm children, 54 percent of reported abusers were women and 45 percent were men. For 2015, there were a nationally reported 683,000 (rounded) victims of child abuse and neglect. The victim rate was 1 in 110 children for reported cases. Neglect is the most common form of child abuse, followed by physical abuse, sexual abuse, psychological abuse and, lastly, medical neglect. Do you think a child you know, or one you see on the playground may be at risk? You may be reluctant to intervene, but a child at risk may be suffering. Neglect - A mother in Dallas, Texas, was charged with neglect after her 9-year-old died from complications of diabetes after she failed to help her manage her disease. Physical/Emotional Abuse - A mother in North Central Texas had her three children taken away because of a case of Munchausen syndrome by proxy. Physical Abuse - Two parents in Dallas, Texas, were charged with abusing their 6-month-old infant so severely that he was in intensive care and it was thought that he was not going to be able to recover. Physical Abuse - A mother's boyfriend was charged with the death of her six-year-old son. Physical Abuse - A father was charged with the death of his three-month-old infant who was found unresponsive, with bone fractures and liver lacerations. Physical Abuse - A father in Lodi, California, was charged with physical abuse after a school employee noticed and reported burns on a 6-year-old student, which were thought to have been inflicted by a clothes iron. She had also been beaten with a stick, and her mother was charged with child endangerment. Physical Abuse - A mother and her live-in boyfriend in Janesville, Wisconsin, were charged with abuse after repeatedly hitting her 3-year-old daughter to the point that she required emergency brain surgery. Physical Abuse - The boyfriend of a child's mother in Wilmington, Delaware, hit and killed a 16-month old girl because she wouldn't stop crying. Physical Abuse - A 9-year-old was beaten by his mother's boyfriend in Lawrence, Massachusetts. Physical Abuse - In Fall River, Massachusetts, a mother was charged with burning her four-year-old foster son with a curling iron, causing third-degree burns that required skin graft surgery. Unfortunately, many more cases of child abuse go unreported. If you think a child is being abused or neglected, report it. Many people are reluctant to pry or to question other people's parenting "styles," but if their behavior appears abusive or suspicious, trust your gut and contact the authorities. Most states have a child abuse reporting number or hotline that you can use so that child welfare specialists can investigate suspected cases of child abuse or neglect. U.S. Department of Health & Human Services, Administration for Children and Families, Administration on Children, Youth and Families, Children’s Bureau. (2017). Child Maltreatment 2015.